For how long was the abduction hoax planned? Re: PLANNING THE ABDUCTION HOAX. Was it done over four days, or four hours? The children were not customers/diners at the Tapas Bar restaurant in the traditional sense of the word. They did not sit at tables, read the menu, give their orders to waiters who approached each table, then wait to be served. Instead they all ate a suitable, set menu, on a terrace adjacent to the normal Tapas Bar dining area. The children's tea seemed to kick off around 4.45.p.m when they were all brought from their various creches by the nannies to the Tapas area to eat. Tea ended at 5.30 after which the nannies were off duty. During this time the Tapas was still serving its regular adult customers. I suspect the very few waiters on day-shift were occupied with the latter and that the children's tea was brought out by various kitchen staff helped by a nanny or two. In this way I can well imagine the cook (N.B. not chef) helping to bring food to the children's table. Therefore, Maria Jose (the Tapas day cook) may well have ventured out of the kitchen when helping the nannies. Whether she really saw Madeleine or not I couldn't say, but I see no reason why she would claim to have seen children when she didn't. Why would she bother to lie? I'm also sure the P.J. asked her how she, as a cook, came to be out of the kitchen! They aren't stupid. Remember, all statements are but an agreed precis after a much longer interview, not a verbatim recording of every single word that had been uttered during that interview. Not knowing the layout of the Tapas restaurant I can't be precise but you need to question exactly where this employee was working. The logical assumption would be a kitchen. Could be al-fresco but that I doubt when talking of feeding a crowd of hungry kids - I can't imagine BBQ was on the menu. Good point there worthy of consideration - what did they eat? I don't think it was ever mentioned, not that there is any reason why it should have been but it raises the question whether this Tapas high-tea ever happened as regards the McCanns and their group of friends. It doesn't appear to accord with the crèche register. That aside, I ask how a cook inside or outside the kitchen, would be able to say with any degree of certainty that s/he could identify a strangers child (amidst a number of other children). 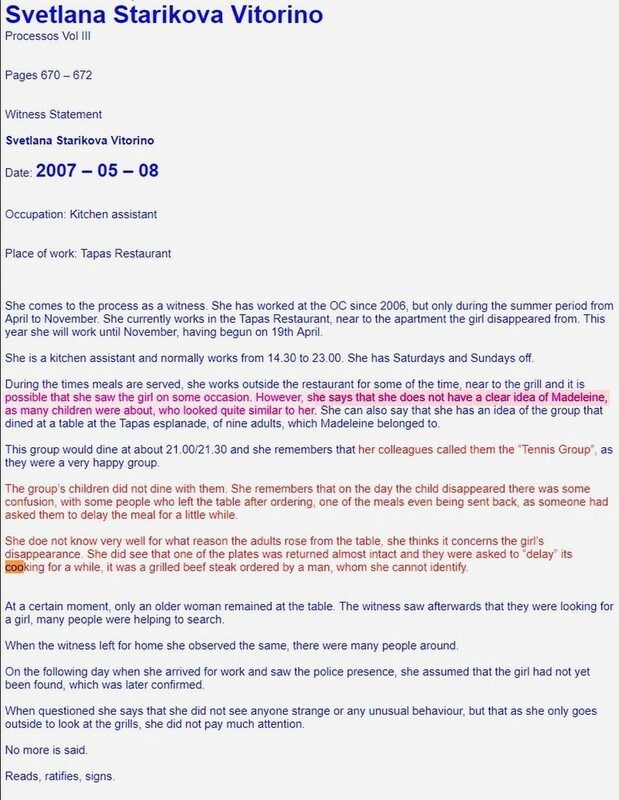 The witness statement was taken on 6th May 2007, three days after Madeleine's alleged disappearance, the most she could have seen is the photograph/s circulated for identification purposes. As has been discussed ad-infinitum, the images provided by the McCanns to assist the investigation bore no true resemblance to the Madeleine seen in the playground and poolside photographs. I venture to suggest it being impossible for an Ocean Club restaurant cook to be able to say she saw Madeleine at a specific time and day. I doubt if the cook saw Madeleiene at any time on any day. She describes a child who spent the day in the creche next to the tapas restaurant. We KNOW Maddie went to the kids club above the reception 10 minutes away. 'Manuela' the cook claims to have cooked for the McCanns table that night. This could not have been Maria Jose as she left the tapas at 6.45pm and did not return until the following evening. So WHICH tapas cook was it on the video? 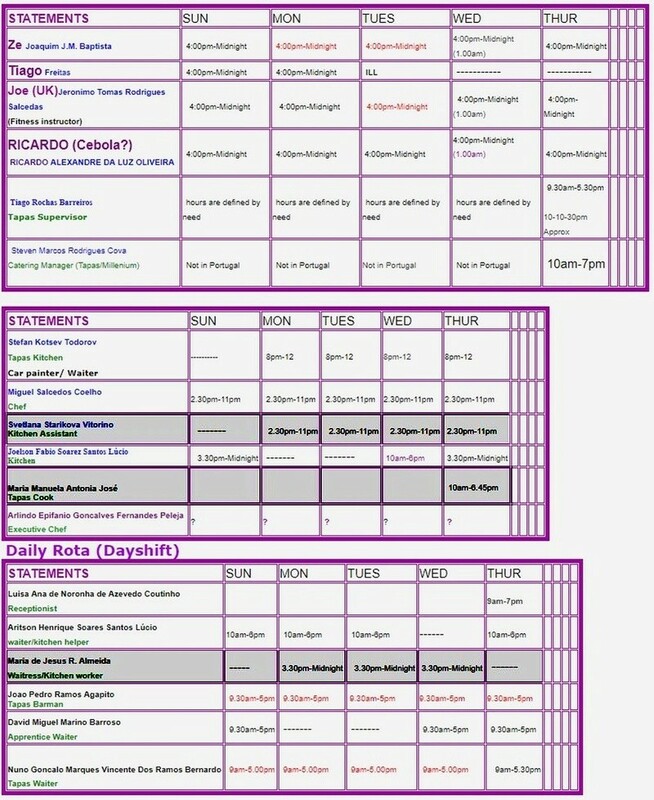 Here is the staff rota for the Tapas... The 'cooks' are highlighted. Three of them. Which one is in the video? 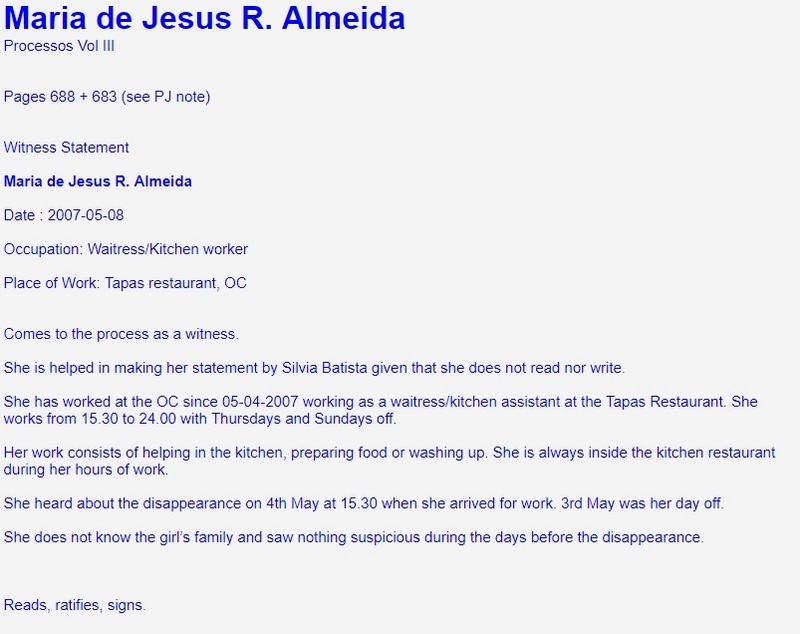 It wasn't Maria de Jesus R. Almeida as Thursday was her day off. 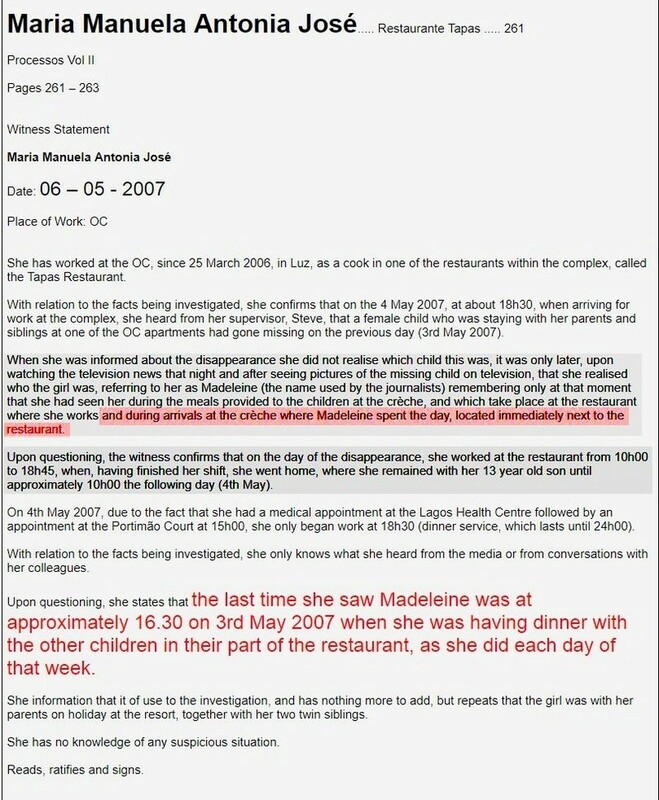 For those that question the research on 'who saw Madeleine' I think you can see clearly that the above detailed research shows there is NO CONFIRMATION that any of the cooks in the tapas have confirmed they saw Maddie whether in their statement or in the video. Most of the above was my very early research in 2008. Can anyone show me if there was ANOTHER cook that I may have missed? I just want to add that I find it very tedious when 'people' (I'm NOT referring to members in here..lol I understand that many may disagree and thats ok) claim that there were lots of sightings of Maddie. They CLEARLY have NOT done any research themselves yet choose to discredit mine! Somebody most definitely died in their apartment. The only person not to return home from that holiday was their daughter. So I'll guess it was her the hounds sniffed out, and they did sniff her out. Make no bones (sorry) about that. The only supposed sighting on the said night, comes from somebody who visited the rest of the crowd for a meeting back in the UK. That just doesn't wash does it? So Thursday is most definitely out. That would cause me to think at the very least, she was gone a day or two before. I don't think it was premeditated, but I do strongly believe sexual abuse had taken place and that this along with medication contributed to the death/disappearance. The holidaying group are absolutely involved in some way. Very possibly one in particular, who liked all the children he was holidaying with, to be very clean. This group's general silence since, speaks volumes to me. I'm still struggling to work out how and who transported her or materials associated with her after her demise, but whoever it was, wasn't careful enough with that hire vehicle, that's for sure. As for those that still believe the crazy possibility of an abduction. The mother made a couple of vital errors. Firstly she ran away from her other two children (put a couple of million other mothers in that scenario and see what they do) and secondly, she didn't answer those (awfully taxing, when your little girl is supposedly experiencing God knows what) questions. She was guided very poorly here. Still, you can't be expected to get it all right. As has been mentioned, there's no such thing as the perfect crime. The above stills show the iconic photo of MM being broadcast on the 4th May. The Cook states she recognised madeleine from watching TV. If "High Tea" was supposedly at 4.45pm, how come all the kids were signed out generally at 5.30pm. It's all hogwash......................unless of course either the logs were falsified or it was in a position where it could be signed as they were leaving "High Tea"
Just because they weren't "noticed", doesn't necessarily mean discrepancies weren't apparent. 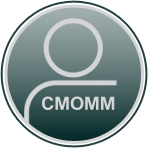 It is quite obvious (from the hard work that a number of key members put in at CMOMM and other fora) that significant cross-referencing and investigation is required to even begin to see cracks appearing. This is not to detract from the PJ investigation but it must also be remembered that they were being "leaned on" to reach a specific conclusion. @polyenne wrote: If "High Tea" was supposedly at 4.45pm, how come all the kids were signed out generally at 5.30pm. Who has "High Tea" anyway? Esp. circa. 2007? Described as "Out-dated" and "Elaborate" in dictionary. @Ruffian wrote: Whilst in Amsterdam, for the launch of the Dutch version of his book 'A Verdade da Mentira', Gonçalo Amaral took time out to answer some questions. I suspect "Manuela" interviewed for the T.V. snippet shown above is a pseudonym - it is pointed out that the woman wishes to protect her anonymity by not allowing herself to be shown during the interview. Therefore, if she wishes to disguise herself "Manuela" is probably no part of her real name. "High Tea" was so called because it was a substantial meal for the children, taking the place of supper or dinner. I think the reason for so many consistent 5.30 p.m. signings out is because this marked the end of the nannies creche-working day and children were, at the end of tea, returned to their parents' responsibility. 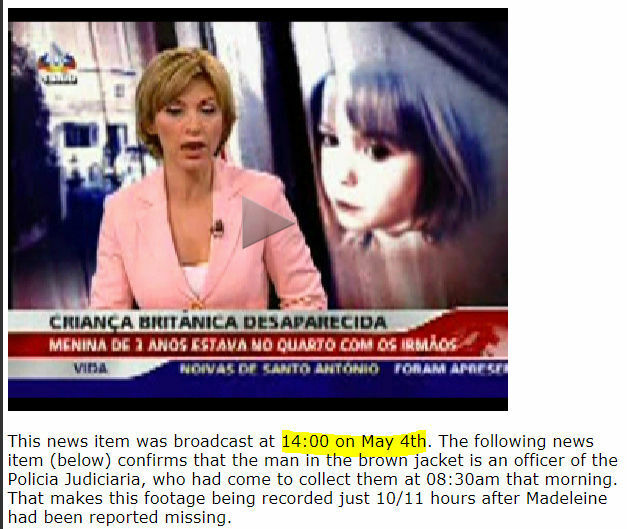 "She relates it was one of the preferred activities of the McCann couple in that they had several lessons throughout the days and up to the date of the disappearance of their daughter Madeleine, it being that the child also had a class, on Tuesday, 1 May (10-11h00), that class [in which] she was among a group of children was conducted by the deponent." This statement clearly implies she saw Madeleine, otherwise she would just have said her group had a class and she cannot specifically remember whether Madeleine was there. On Tuesday morning there were only 6 children in the Lobsters group. Madeleine, Ella, Jessica, Elizabeth, Alexander and William. "According to what he remembers, the missing child's family frequented the Tapas pool where they would take their children. They would stay in the children's play area in the period between 16H45 and 17H30, at the time when babysitters would take care of the children. The babysitters are employees of Mark Warner." Given that all the above, the nannies, other guests (and we do not know what the sailing instructors told the police about Thurs) claim to have seen Madeleine during the week, it is unsurprising that the the P.J. concluded she had been alive until Thursday. If this is not the case an extraordinary number of people have to be either mistaken or lying. As pointed out above, Dr. Amaral, when asked, was convinced she had not died before May 3rd. His answer confirming this belief may have been given 9 years ago but I don't believe he has stopped pondering the mysteries of this case since then. Indeed, he continues to speculate publicly about how the body may have been stored/destroyed (refrigeration, cremation) yet he has never departed from his belief of when she was last seen. The "logistics of the situation". What "situation" ? And "logistics" ? That usually means how something is going to be made to work. What IS this man trying to say? And he’s a doctor and an “educated person”. I have heard better grammar from the down and out, and from those who appear on the Jeremy Kyle show. How anyone can say that these people are telling the truth is beyond me. In the words of John Stalker "Kate and Gerry McCann are hiding a "big secret"
Might David Payne's "tennis kit" have been "hiding" in a blue bag and that was the real reason he had to go to the apartment to see Kate ? This statement clearly implies she saw Madeleine, otherwise she would just have said her group had a class and she cannot specifically remember whether Madeleine was there. The testimony of this witness refers mainly to the tennis lessons/play, booked by the McCann couple. The witness interview was routine policing i.e. interviewing everybody and anybody in the vicinity during the period of Madeleine's alleged disappearance. Ms Jackson mentions the group of children from the childcare facilities that had a lesson on 1st May, I can see no clear indication that she claims to have seen Madeleine specifically - why would she? Some folk think a childcare worker wouldn't necessarily be able to positively recognize a child in their care every day, how then can a tennis instructor be able to identify a single child she encountered for about half an hour playing alongside other excitable children? @Phoebe wrote: The children were not customers/diners at the Tapas Bar restaurant in the traditional sense of the word. They did not sit at tables, read the menu, give their orders to waiters who approached each table, then wait to be served. Instead they all ate a suitable, set menu, on a terrace adjacent to the normal Tapas Bar dining area. The children's tea seemed to kick off around 4.45.p.m when they were all brought from their various creches by the nannies to the Tapas area to eat. Tea ended at 5.30 after which the nannies were off duty. During this time the Tapas was still serving its regular adult customers. I suspect the very few waiters on day-shift were occupied with the latter and that the children's tea was brought out by various kitchen staff helped by a nanny or two. In this way I can well imagine the cook (N.B. not chef) helping to bring food to the children's table. Therefore, Maria Jose (the Tapas day cook) may well have ventured out of the kitchen when helping the nannies. Whether she really saw Madeleine or not I couldn't say, but I see no reason why she would claim to have seen children when she didn't. Why would she bother to lie? I'm also sure the P.J. asked her how she, as a cook, came to be out of the kitchen! They aren't stupid. Remember, all statements are but an agreed precis after a much longer interview, not a verbatim recording of every single word that had been uttered during that interview. Way too much supposition for my liking - and not a shred of evidence to back it up. The majority of witness interviews were bog basic policing, this cook for example was not a suspect, she was interviewed exactly the same way as any other member of staff, tourist or local resident. The PJ were looking for anything suspicious in the Ocean Club and the surrounding environment that might assist the investigation. I've repeatedly pointed out the witness statements are not presented verbatim and therefore are not a reliable source of evidence - as I've repeatedly pointed out the fact that Robert Murat was the appointed interpreter for a number of the witness interviews but it's all that's available so it seriously limits any tangible conclusion. It doesn't however give carte-blanche to fill in the gaps oneself. You say ... "Remember, all statements are but an agreed precis after a much longer interview...". That is not a fact to be remembered, it's again only your supposition. @ Verdi. It has been my personal experience (not supposition) that witness statements (in the days before video recordings) were drafted and recorded after quite a bit of discussion. The witness, during the interview, recounts whatever information he/she has, then questions are posed by the investigators which the witness answers as best he/she can in order to tease out as much information as possible for the investigation. Then a statement is drafted which the witness is asked to read over, agree to or seek to amend. Then one is asked to sign the statement. Reading the P.J. files shows umpteen concrete examples of this method being used - "Reads, agrees, ratifies and signs"! From the statement of Kirsty Maryan ..
"relative to the facts of the investigation the witness clarifies that in her daily schedule mentioned she only, on one occasion, had contact with Madeleine McCann, for about 30 minutes 'who was treated as Maddie' in that she had to substitute for her colleague, who, at that time, was responsible for the group whose name is Emma, as SHE HAD TO GO TO THE TAPAS TO TAKE CARE OF THE REFRESHMENTS of Madeleine's group." Indeed, from first hand experience of working in similar camps part of our task was to supervise and help serve at mealtimes and we were always assisted by the cooks who brought out hot plates, dishes, tureens etc. How likely is it that these waiters ignored taking orders from and serving the adult customers in order to occupy themselves with serving a set menu to a group of kiddies? @Phoebe wrote: @ Verdi. It has been my personal experience (not supposition) that witness statements (in the days before video recordings) were drafted and recorded after quite a bit of discussion. The witness, during the interview, recounts whatever information he/she has, then questions are posed by the investigators which the witness answers as best he/she can in order to tease out as much information as possible for the investigation. Then a statement is drafted which the witness is asked to read over, agree to or seek to amend. Then one is asked to sign the statement. Reading the P.J. files shows umpteen concrete examples of this method being used - "Reads, agrees, ratifies and signs"! Apart from this witness statement being largely incomprehensible, I'm interested to learn where the above ^^^, in red, was stated. For the life of me I can't see it anywhere. That aside, I don't understand why you've used the witness statement of Kirsty Maryann to respond to an observation about a cook. I haven't questioned whether or not the childcare workers were involved with feeding the kids at this high tea arrangement, if indeed this high tea did happen I'd take it for granted that the careworkers worked the arrangement. Nor do I understand why you raise the subject of the Tapas restaurant waiters, I certainly haven't mentioned them. You say.. "Reading the P.J. files shows umpteen concrete examples of this method being used - "Reads, agrees, ratifies and signs!" Those few words at the foot of a witness statement do not indicate the method of conducting a witness interview. My own experience of being interviewed by the police in connection with criminal investigations (before the advent of interview recordings), both as a person of interest and as a witness, is contrary to your observations. I always thought the UK police had a global policy for conducting witness interviews - just goes to show! Of course at the conclusion of any interview I was required to read, agree and sign the recorded document, even though the proceeds of the interviews were so vastly different from your own experience. @ Verdi. I presumed it would be obvious that the text of Kirsty Maryan's statement being cited was contained between both sets of inverted commas, since this is the usual mechanism to denote direct speech being quoted? 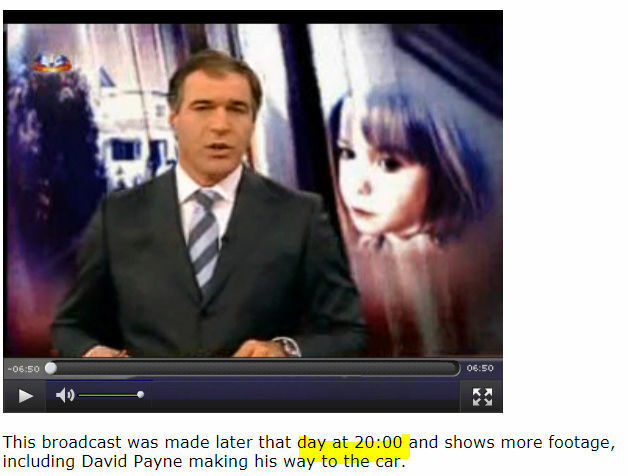 - "relative to the facts of the investigation the witness clarifies that in her daily schedule mentioned she only, on one occasion, had contact with Madeleine McCann, for about 30 minutes 'who was treated as Maddie' in that she had to substitute for her colleague, who, at that time, was responsible for the group whose name is Emma, as SHE HAD TO GO TO THE TAPAS TO TAKE CARE OF THE REFRESHMENTS of Madeleine's group." " Way too much supposition for my liking - and not a shred of evidence to back it up." My response intended to point out that the children were not tended in the usual manner of "diners". The nannies helped out. There were but 3 waiters available during high tea on May 3rd while the Tapas was also open to serve adult customers. Given that no orders had to be taken from children and their dining experience hardly required silver service, I feel it quite reasonable to accept that the cook is not lying and may well have brought items to children's table or assisted in serving in some way. With regard to the format for taking witness statements - I can only give you my personal experience, but I have asked others, and they all confirm that they spoke freely before before the actual business of drafting a statement began, pointing out that not everything they had mentioned during their preamble was deemed relevant for inclusion in the final statement while other facts, elicited as the response to direct questioning after their initial accounts, were. Your experience of giving witness statement was, you say, in the U.K.
"I always thought the UK police had a global policy for conducting witness interviews - just goes to show!" It should be remembered that Maria Jose, the cook, was questioned in Portugal as part of a Portuguese P.J. investigation which would have no reason to adhere to "U.K. global policy" for witness-interviewing techniques. In which case, can I borrow your hat? Re: PLANNING THE ABDUCTION HOAX. Was it done ove four days, or four hours? For those of you who believe that she died much earlier than the Thursday . how do you explain the reported rushed scribbling of timelines on Maddie's stickerbook. Surely timelines would already have been done if the death had happened four days before ? @Skingdavid wrote: For those of you who believe that she died much earlier than the Thursday . how do you explain the reported rushed scribbling of timelines on Maddie's stickerbook. Surely timelines would already have been done if the death had happened four days before ? I believe what's happened down there was pre planned, either in the UK or some kind of plan B down in the Algarve. The final time line preparations for the staged abduction was made in Restaurant Paraiso on Thursday afternoon. are you suggesting that they went to Portugal with the intention of killing her and staging an abduction ?? ?